CINCINNATI--(BUSINESS WIRE)--Fifth Third Bancorp (Nasdaq: FITB) announced today that Susan B. Zaunbrecher is the bank’s new chief legal officer and corporate secretary, effective immediately. Zaunbrecher joined the bank as senior legal advisor last month to succeed Jelena McWilliams, who was confirmed today to lead the Federal Deposit Insurance Corp.
Zaunbrecher most recently served as partner and chair of the corporate department at Dinsmore & Shohl LLP. She oversaw one of the largest law firm corporate groups in the Midwest, with nearly 200 lawyers. She also sat on the firm’s board of directors and executive committee. Zaunbrecher will report to Chairman, President and CEO Greg D. Carmichael. Her responsibilities will include overseeing Fifth Third’s Legal, Government Affairs and Regulatory Affairs departments. Zaunbrecher joined Dinsmore in 1990. There, she provided counsel on transactions, mergers and acquisitions, compliance matters and securities law. Her clients were primarily financial institutions and also included public and private manufacturing and service companies. Zaunbrecher earned her law degree from the University Of Cincinnati College Of Law, where she served on the Law Review editorial board. She earned a bachelor’s degree from Newcomb College of Tulane University. She is a member of the Ohio Bar Association and is active with numerous civic and professional organizations, including the Cincinnati Bar Association, UC Economic Center for Education and Research, United Way Tocqueville Society, Cincinnati Playhouse in the Park and Cincinnati ArtsWave. 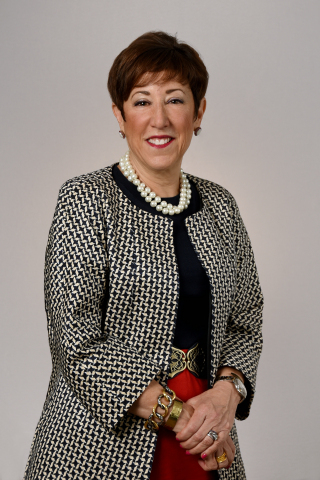 Fifth Third Bancorp announced today that Susan B. Zaunbrecher is the bank’s new chief legal officer and corporate secretary.